Mr Jim Kepler, Nevada PGA Golf Professional has devoted a long career to the Carson City and Dayton area golf. A graduate of UNLV, Kepler was a Golf Scholarship recipient and got his Bachelors Degree in Business Administration & Management. In 1986 he opened Eagle Valley Golf Course (at that time only the East Course existed), staying as PGA Pro at Eagle Valley for over a decade. In 2006 Jim returned to Eagle Valley as Head Golf Professional, this time remaining until 2016. Full Circle! 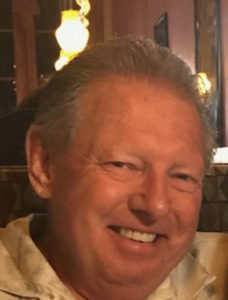 Jim Kepler has returned as General Manager for Duncan Golf Management at both Dayton Valley Golf Club and Eagle Valley Golf Courses – and he has an agenda that will make golfers happy. His focus includes prioritizing customer service, course conditions, value to players, knowledge of the game and love of the game of golf. Welcome back! Heavenly rates, Devilishly good golf! Contact Jackie for customized group and individual tee times, lodging & dining.